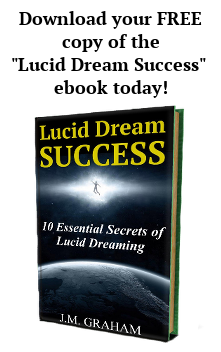 Dream Induced Lucid Dreams (DILDs) are dreams in which you become lucid within the dream. They are one of two types of lucid dreams. The other type is known as a Wake Induced Lucid Dream (WILD). Dreams seem so real as they unfold. It is almost automatic to get swept into the setting, characters, and story. Most times you don't realize how strange the dream is until you wake up. Noticing when you are dreaming might seem downright impossible if you've never done it. The good news is that it's not only possible, but fairly easy to do with a little knowledge and practice. Thankfully, there are methods like the Mnemonic Induction of Lucid Dreams (MILD) technique to help you achieve this. But, in order to attempt these techniques it is important that you first know your dream signs, use reality checks, and practice dream incubation. Do you notice that you dream about a particular location a lot? Are there similar characters that reappear in your dreams frequently? Is there a recurring nightmare that haunts you in times of stress? Your dream signs are events, places, characters, or even specific emotions that reoccur in your dreams. They are as unique to you as your fingerprints. Each person has their own signs that can help them realize when they are dreaming. To figure out what your dream signs are, first learn to improve your dream recall. By remembering your dreams each morning and writing them down in your dream journal, you will begin to recognize patterns that you were never aware of before. It may seem obvious, but the more familiar that you are with the specifics of your dreams, the higher the chances of having a DILD. Reality checks are actions that are impossible in physical reality, but possible in dreams. They can be used to tell if you are dreaming or awake. For example, if you cover my nose and mouth you won't be able to breathe, right? But in a dream you would be able to breathe in any situation, even if you were underwater. Also, words, shapes, and designs tend to shift and change frequently in a dream. If you were to look at the cover of a book, look away, and then look back, the words and designs would most likely have changed in some way. When you consciously analyze situations throughout day, you are training your mind to notice what is real and what isn't real. The more aware you are, the better. Plug your nose and cover your mouth. Can you breathe? Try pushing your finger through a solid object. When attempting any reality check, it's important to ask yourself if you are dreaming and really put some thought into it. Can you prove that you're not dreaming? Have you ever fallen asleep obsessively thinking about what you have to get done the next day, only to have a vivid dream about that very thing? It probably happens quite often, actually. We tend to dream about what we put our focus on. You can use this to your advantage the next time you want to have a lucid dream. Dream incubation involves setting your intentions as you drift to sleep. Repeating a mantra such as "the next time I dream, I will remember that I'm dreaming" in your mind and visualizing it happen can be a very powerful tool to help you achieve lucidity. Imagine you are in a dream when you notice something strange like a car floating in the air. You realize that this can't be possible and become aware that you are dreaming! Once this is implanted in your mind, relax and drift to sleep with this as your last thought. These techniques take a little time and effort to work, but when you incorporate them into your daily life they will soon become habitual. You will begin to notice when you are dreaming and experience what it's like to have a Dream Induced Lucid Dream (DILD).